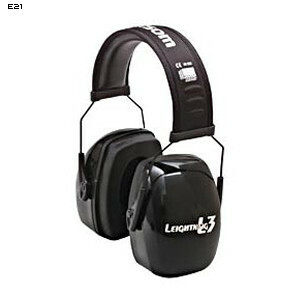 Bilsom L3 Leightning 31 Passive Earmuffs. •Noise reduction rating of NRR30. •Special high density foam ear cushion contours to your ear. •Tough, stress resistant steel frame is built to last. •Lightweight, weighs just 10 oz.